SOLD OUT. 10+ Seeds. 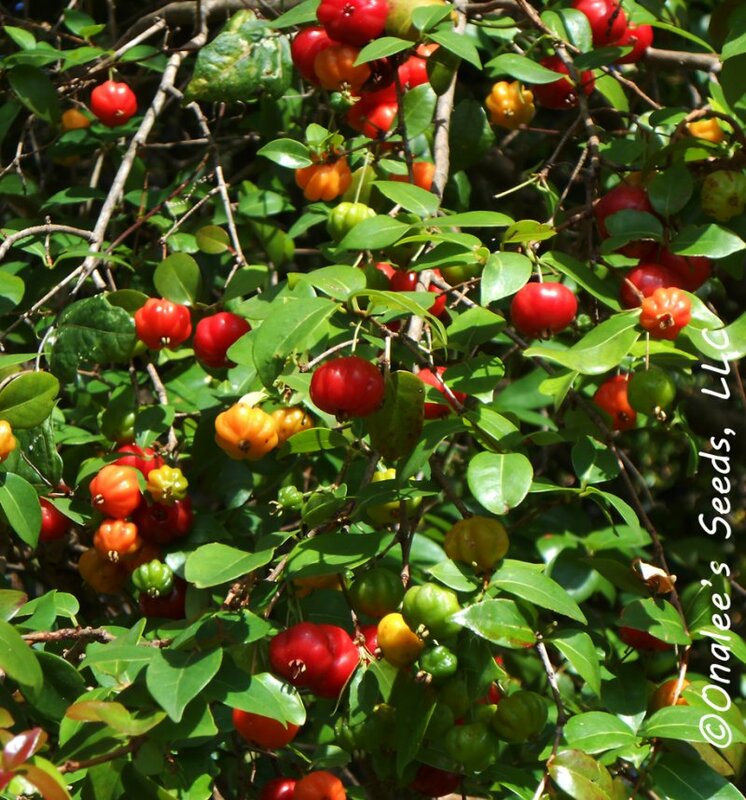 In Florida, the Surinam cherry is one of the most common hedge plants throughout the central and southern parts of the state and the Florida Keys. The fruits are today mostly eaten by children, who love to eat the fruits fresh from the bushes. This is one of my favorite memories from childhood, finding the reddest, ripest, sweetest cherries to pop in my mouth! Also great for jellies and jams or even making liqueur. 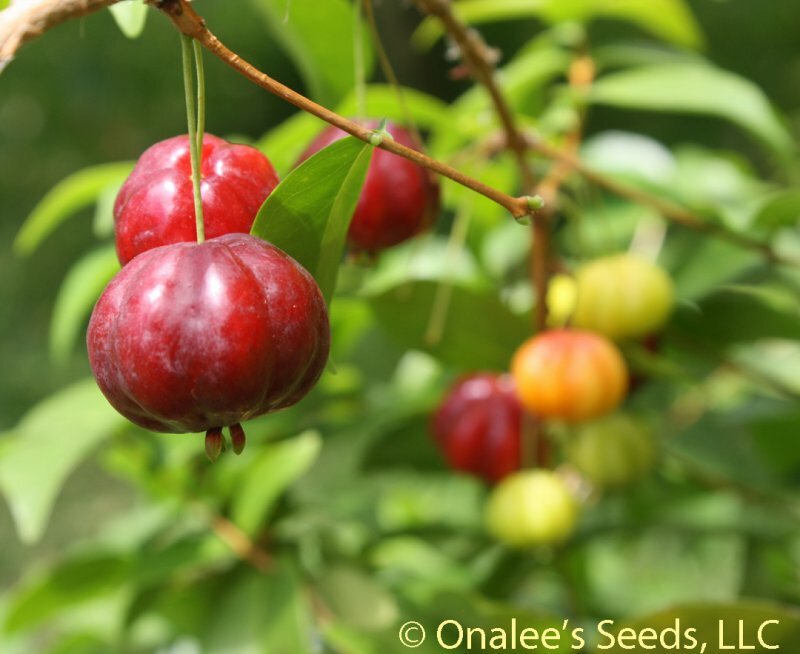 10+ Seeds for Surinam Cherry (Eugenia uniflora) AKA: Florida Cherry, Brazil or Brazilian cherry, Cayenne cherry, pitanga. These seeds will not store well and will need to be planted soon after arrival. 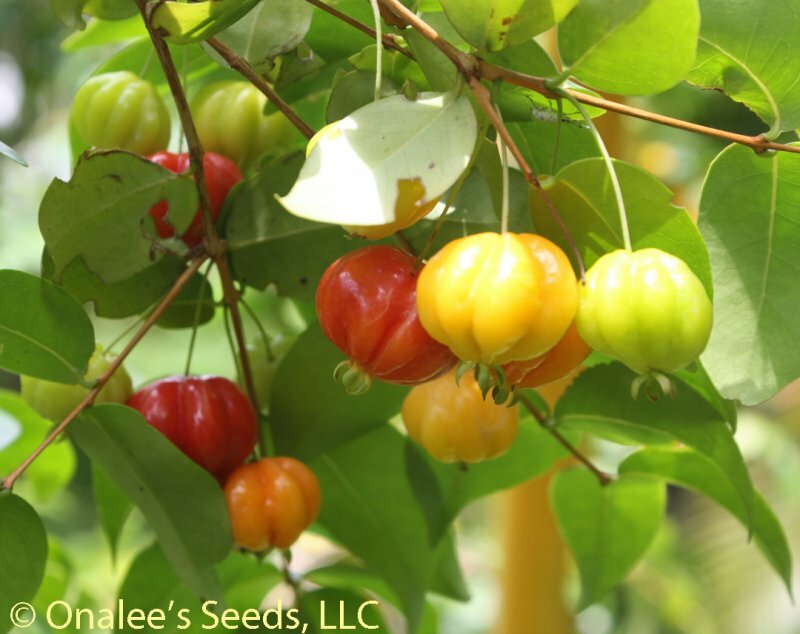 In Florida, the Surinam cherry (hardy from zone 9b and warmer) is one of the most common hedge plants throughout the central and southern parts of the state and the Florida Keys. The fruits are today mostly eaten by children, who love to eat the fruits fresh from the bushes. Birds also enjoy feasting on these fruits in the spring and early summer! Don't forget to plant enough for your feathered friends, especially savored by the migratory birds who are moving through Florida when these are ripe and juicy! If seeded and sprinkled with sugar before placing in the refrigerator, they will become mild and sweet and will exude much juice and serve very well instead of strawberries on shortcake and topped with whipped cream. They are an excellent addition to fruit cups and can be made into pie or sauce. They are often made into jam, jelly, relish or pickles. Brazilians ferment the juice into vinegar or wine, and sometimes prepare a distilled liquor. Surinam Cherry is an excellent shrub for screens or hedges, with smooth, shiny, aromatic leaves which are bright red when young. This lends a reddish cast to a clipped hedge during the growing season. The small thin leaves allow the plant to be sheared easily, and it is often used as a hedge. The plant remains dense all the way to the ground if the top of the hedge is clipped so it stays slightly narrower than the bottom. In cooler zones, the plant is grown in pots for its attractive foliage and bright fruits, but must be protected from freezing in the winter. These can also be shaped into an attractive bonsai specimen. These bushes like partial sun to full sun and tolerate dry, hot conditions. My plants, which were grown from seed, bloomed and set fruit in their 4th year, but I'm in zone 9a and the foliage gets killed each year, so they may bloom and set fruit sooner in warmer regions or if protected during the winter.